Do you need to jump start your battery? 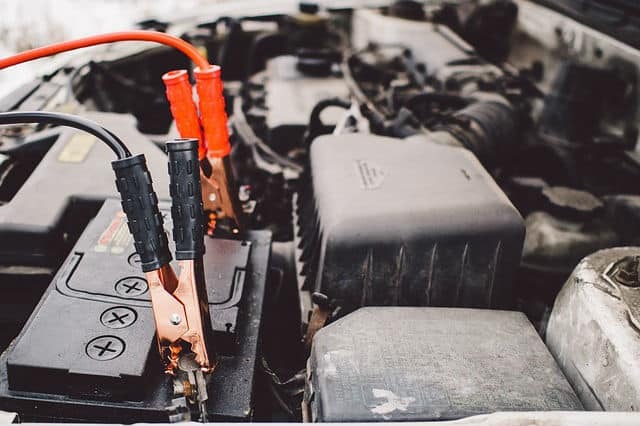 If a battery boost is what you need, then all you have to do is to pick up the phone and call our reliable specialists at Scarborough Towing Team to give your battery a boost the safe and proper way. Your car will thank you for it, we promise! We are ready to assist you right away, so just contact us today for a quick response from us. When your car suddenly stops or you cannot start it, the issue could mean a lot of things. But if it is a battery issue, then all it needs is a quick boost. Scarborough Towing Team provides a battery boost service to jumpstart your vehicle, quick and simple. Luckily, a battery can be revived with just a boost – and with enough power to let you continue driving to your destination. Proper tools and the right techniques are necessary to help give a second life to your battery. Scarborough Towing Team knows just how it’s done, so you can be back on the road immediately. But there are times when your battery is completely empty, so a replacement is necessary. In this case, this is something that we can do, too. We offer battery replacement service in a variety of locations such as Markham, Toronto, Thornhill, North York, East York, Richmond Hill, and Aurora. Our tow trucks are parked and stationed at designated locations in these places, so it should not take long before we are at your service for any of your towing or roadside needs. Maybe you have been trying for quite a number of times but your car just would not start. In this case, you will need a professional to do this job and ensure a successful outcome. There have been many people we’ve met who jumpstart their car by connecting this to another car. Unfortunately, this is not 100% safe to do. It can compromise the safety of your new vehicle, which can result to further damages and expenses. A power surge is detrimental to the on-board computer of your car, even the stereo and navigation system. So do not even attempt to go down that route. Be more mindful of the consequences. Take things the right way by consulting an expert in battery replacement service. At Scarborough Towing Team, we can give your vehicle’s dead battery a replenished power in a matter of minutes. We use the right materials and techniques to make this happen – and you only have to stand back and wait shortly before your car is back to its great performance. We understand the importance of your time and energy. This is why when you contact us for a battery replacement service, we make sure to show up right away. In no time, you should hear your engine roaring and your car moving as it should. Call us today at 647-557-6720 for Roadside Assistance. Need a battery boost or replacement "near me?" We got you covered.